Aromatics have been used throughout history to promote relaxation, enhance romance, boost the libido and create a sensual atmosphere. Research has established that smelling essential oils used in Aromatherapy, influences the Limbic System and can bring about changes in the brain’s chemistry, affecting our mood and emotions. Some essential oils are considered to have aphrodisiac properties. You can use a single natural aroma or create blends according to your fragrance preferences. Essential oils can easily be used at home in diffusers, linen and body mists, baths and massage oils set to the scene for a romantic night in. Precious floral oils appeal to most women and are generally calming, sensual and alleviate feelings of anxiety. Woody oils blend well with florals, provide a base note to a blend and have a unisex appeal. Citrus oils have a refreshing and uplifting effect and can help lighten the aroma of a blend of heavier and sweeter florals and woods. Spice oils can be used in moderation to boost energy. Sandalwood is used in many perfumes. It has a relaxing effect on the nerves and helps alleviate feelings of stress and tension. It can help release the brain from the mental chatter and is often recommended for meditation as it encourages a feeling of serenity. Patchouli divides opinion as many people are not keen on its musky, earthy aroma. It is soothing, grounding, and anti-depressant and can help reconnect a busy person to a forgotten sensual side of themselves. The exotic sweet, heady, aroma of Ylang Ylang can be overpowering and like Patchouli is best used in small amounts as it is tenacious and intense. However the aroma has a seductive quality and is a renowned aphrodisiac. Sweet Orange, Grapefruit or Bergamot blend well with Ylang Ylang and Sandalwood. Jasmine is traditionally blended with Sandalwood in many Indian preparations. It soothes anxiety, brings confidence and optimism and helps improve our mood and energy if we are feeling apathetic. Rose is often known as the queen of essential oils. Most people know the exquisite pleasure of inhaling the aroma of a fragrant rose and we all associate roses with the flower of love. A few drops of Rose and Jasmine in Rose Water in a spritzer bottle makes a gorgeous natural body mist. Cardamon is a warming tonic to the mind and body. Other spices such as ginger and black pepper are also invigorating when we are lacking in motivation or energy but can prove irritant or too “hot” for sensitive skins. Cardamon has a lovely intriguing aroma. For super-soft skin enjoy a relaxing soak with one or two of these melts in an aromatic warm bath or use as a massage bar after a bath or shower. 1. Melt the butters together in a heat-proof glass jug using the bain-marie method. Once the butters are liquid, remove the jug from the heat. Add the coconut oil, stir well and allow to cool for a few minutes. 2. Use a silicon cake/chocolate moulds or a flexible ice cube tray and put a few pieces of rose petal in each mould. Heart shapes are nice! Put the moulds on a tray or flat plate. 3. Add the essential oil to the liquid and stir again. Carefully pour into the moulds until you have used all the butter. 4. Transfer the tray to the fridge and allow the melts to cool for a couple of hours before turning out. Your melts are now ready to use. 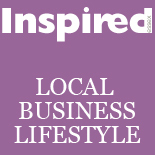 This entry was posted on August 14, 2012 by inspiredessex in Beauty & Wellbeing, Ladies Time Out and tagged aromatherapy, boudoir, chelmsford holistic, essex aromatherapist.